Situated on Sagar Island, Kapil Muni temple is dedicated to sage Kapil. 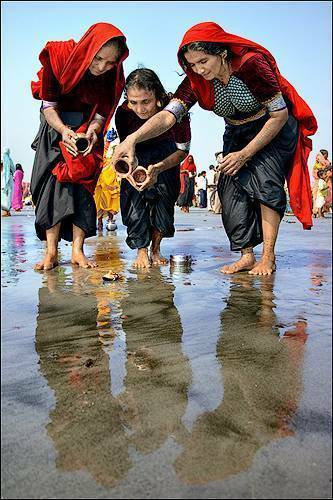 Most visitors to this temple flock during the festival of Makara Sankranti (on 14 or 15th January) to take a dip at the confluence of river Ganga and the Bay of Bengal, a holy dip to wash away their sins. Fair called 'Gangasagar Mela' is organized during this time, which is one of the longregation of mankind in the world and next only to Kumbha Mela. Sagar Island is about 120 KMs from Kolkata. Sagar Island can be reached through a motorboat from either Harwood point or Namkhana jetty. Otherwise a direct ferry service to Sagar Island can be availed from Haldia.